Developing a web site is just the first step when trying to establish an online presence. Once your web site is built, it needs to be seen. Optimizing your web site allows the search engines to find and index the pages within your site. Once the search engines have reviewed your web site, they determine how relevant your web site and its pages are to the keywords you are targeting. Without the proper optimization, not only will your web site gain weak positions in the search engines, but may run the risk of being “black listed” and banned from the search engines all together. Many web designers claim to optimize your web site as they develop it. The problem is they have a limited amount of skill and knowledge when it comes to Search Engine Optimization and miss key issues when performing the task. That’s why our website designers and SEO’s work side by side here at Milestone SEO to ensure both a quality design and proper optimization for your web site. Without both, your site stands the chance of gaining little to no traffic at all. 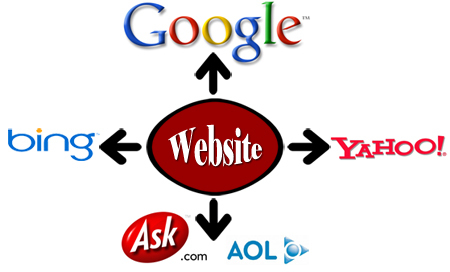 Preparing your web site for search engine inclusion is extremely important. Once your web site has been uploaded to the Internet, search engines send out search bots to crawl your web site and its pages for inclusion in their data base. Optimizing your web site helps the bots figure out the information on your web site, the quality of the content and information, and to determine if the copy and content on your web site has unique and relevant information. That old saying “if you build it they will come” just doesn’t apply in this situation. Each and every web page on your web site that you want recognized by the search engines and seen by surfers has to have the proper tools and optimization in place for your web site to compete. When people search online do they find your business or other competitors who have strong search engine positions?